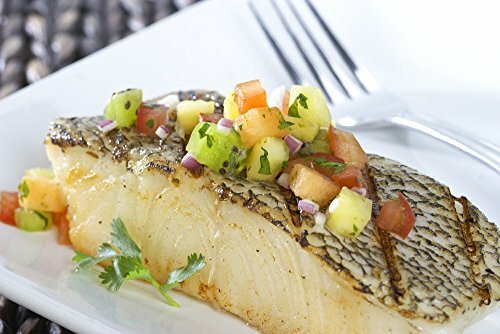 Chilean Sea Bass live in the cold, deep waters of the Southern Hemisphere, and are frozen at sea in order to keep the fish as fresh as possible. The fishermen are at sea for weeks at a time, so don't believe it if you are offered "fresh" Chilean Sea Bass. The fish has a high fat content and rich, moist meat with a buttery flavor that melts in your mouth. The fillets are shiny and white and are white and flaky with a firm texture, once cooked. The high fat content makes it difficult to over cook. Very moist quality and buttery flavor - it will melt in your mouth! If you have any questions about this product by Seafood, contact us by completing and submitting the form below. If you are looking for a specif part number, please include it with your message.